basyx by HON lateral files deliver commercial office quality on a home-office budget. 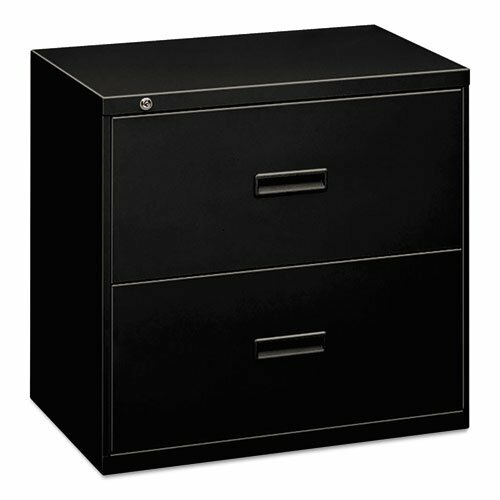 This two-drawer, 36"W model has a tamper-resistant enclosed base. Cabinet accepts letter or legal hanging file folders. Molded polymer handle is standard. Finish color is Black.